Don't expect this "espionage thriller" set in London's upper and lower classes to be all that dark! Seeing Colin Firth as a snob spy in Kingsman: The Secret Service (but, as per usual, one with a big heart), is just splendid! And seeing a young talent (Taron Egerton, watch out for that one!) transitioning form a working‐class kid to a working‐class hero is even bettah! U get me? The story in short: Colin Firth as super spy Harry Hart takes teenager Eggsy (Taron Egerton) under his wing in the hope that Eggsy will pass the demanding tests to become an agent of the élite "Kingsman" spy agency. All the while, Samuel L. Jackson as the bad guy Richmond Valentine is planning the apocalypse and his ultimate take‐over of the world. 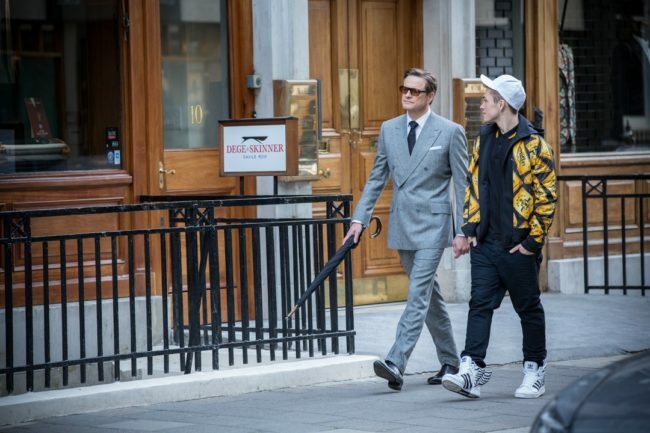 A film so quintessentially London had to be filmed on location of course: If you wander around London with a film fan eye, you can spot 11 Savile Row (Kingsam Store Headquarters), the Alexandra and Ainsworth Estate in Camden (council estate where Eggsy lives) or Holborn Police Station (outside shot of where Eggsy is taken after the car chase). Somewhat surprisingly, a couple of scenes were shot as far away as Sydney, Australia (beach fight) or Toronto, Canada (destruction city scene) while the "Kentucky Church" was actually the Deepcut Church in Surrey, England. 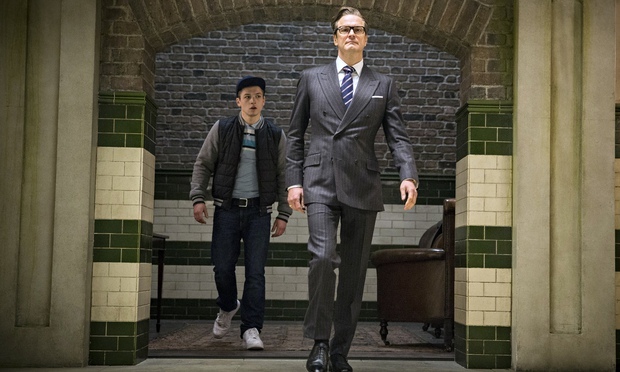 Officially classified as an espionage thriller, I didn't expect Kingsman: The Secret Service to be that funny… but it was great fun! Some scenes were a bit too much though (the massacre in the church went on for ages and at some point it was just too bloody for my taste), but overall a simply amazing spy flick! My Verdict: At times a bit too bloody but overall great entertainment and a (bloody) good laugh! By the way, re‐visiting “my old hood” London again in Kingsman: The Secret Service inspired me to create a list of my 5 favourite films shot on location in London. In September 2017, the (hopefully just as entertaining) sequel of the spy smash hit is released in cinemas worldwide. In Kingsman: The Golden Circle, the Kingsmen from London join forces with the "Statesmen" from the US to fight against a common enemy. 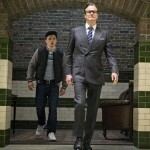 This enemy is a ruthless crime syndicate called "The Golden Circle", which has destroyed the Kingsman headquarters in London. The sequel stars Channing Tatum, Halle Berry, Julianne Moore and… somewhat surprisingly Colin Firth… again! Moreover, Elton John is apparently in it as a fictionalised version of himself. 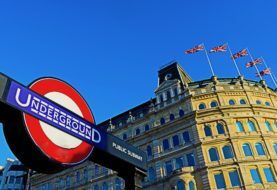 A lot of London locations that you can trace (such as the pub) as well as great entertainment! Overall, a (bloody) good laugh! Some scenes were a bit too much though (the massacre in the church went on for ages and at some point it was just too bloody for my taste).